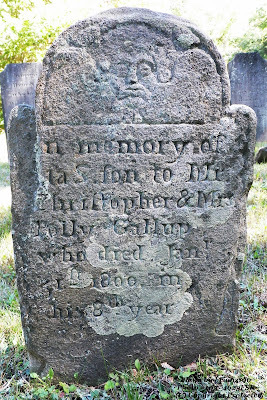 This is the gravestone of first born child of Christopher and Martha GALLUP. He is buried with his two little sisters and his parents. The name Asa is a male name and this is not the first time I have seen it recorded incorrectly as a female name. 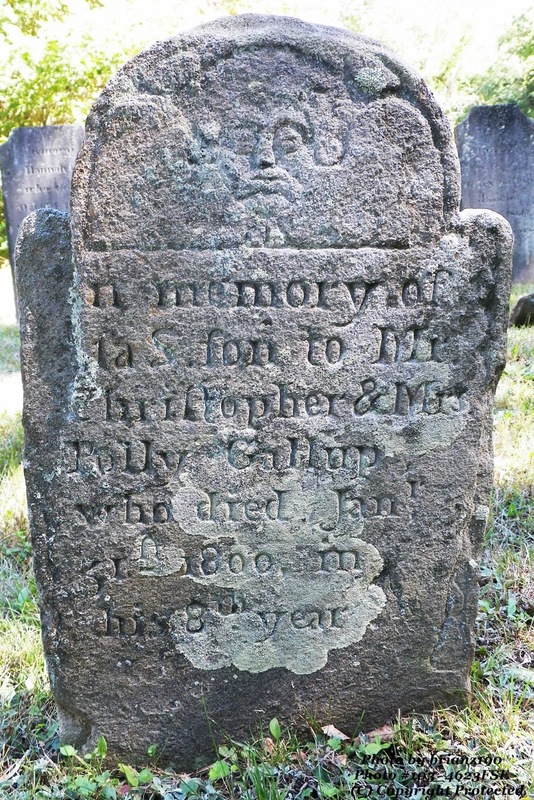 The gravestone cuts off the first letter and so the Hale Cemetery transcription is incorrect. Again, the mother's name is carved as Polly not Martha or Patty. Asa was born on 17 December 1792 and died on 31 Jan 1800. These three gravestones of young children, one right after each other, suggests, but doesn't prove, that they died of disease. Christopher and Martha had three other children who lived to adulthood.